As I repeated many times in this blog, I am not a Nike fan. I don't have anything against their shoes, the fact is that this company represents to me the typcal drawbacks of capitalistic society: conformism, desire to show off, bad taste. However, I swallowed my pride due to "technical" reasons (which I will explain here below) and eventually bought a pair of Nike Zoom Streak LT 3. Actually 2 pairs. Being an old model, it is impossible to find it in shops. I ordered a 9.5 US pair from Ireland (white and yellow) and after testing them I decided to send them back: unfortunately my second finger is a few millimeters longer than my allux, and in this kind of ultra-light shoes such problem might become quite annoying in the long run. While waiting for the refund, I ordered another pair from an Italian shop, this time size 10. I received them on 30 July and tried them on: perfect! - I guess that they won't last more than 6 months. The material is really too thin! - Strange feeling during the first run. I realised that part of the internal sole doesn't lay on the ground! After 2 km, I got used to it. These Nike Streak are my first "technical" running shoes. I pondered many months before purchasing them, and all in all I am satisfied, as I have what I was looking for. 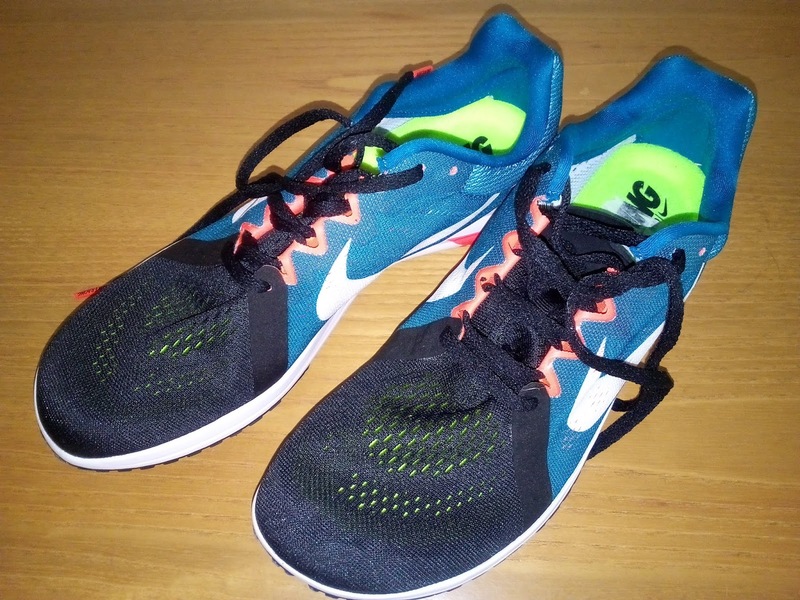 I got some information before taking my decision: they were used by professional runners and received a positive feedback, though some runners complain about their "short life". I can feel a real difference between them and my old Reebok shoes, that in comparison seem heavy, less accurate and less stable, mainly during the fast sprints. Moreover, I wanted to try running shoes with a "contact" to the ground. These Streak LT3 are really "flat" and ensures you a good stability while running. I will keep you posted about the future performances with my new shoes, hoping to break new records soon!